Zoom > Back in Black - AC/DC (Album) [CD]. 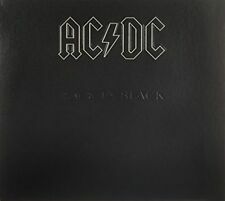 Back in Black - AC/DC (Album) [CD]. Product Back in Black - AC/DC (Album) [CD]. Shake a Leg - AC/DC (4.03). Rock and Roll Ain't Noise Pollution - AC/DC (4.12). Format: CD. It's a Long Way to the Top (If You Wanna Rock 'N' Roll) - AC/DC (5.16). Apologies, our mistake! Sound: Stereo. Discs: 1 disc(s). What do I do?. What do I do if I have not received my order?. Zoom > Highway to Hell - AC/DC (Album) [CD]. Highway to Hell - AC/DC (3.28). 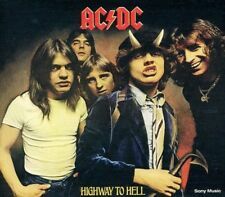 Product Highway to Hell - AC/DC (Album) [CD]. Format: CD. Release Date: 2003-03-03. Apologies, our mistake! Catalogue No: 5107642. 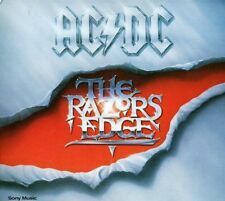 The Razor's Edge - AC/DC (Album) [CD]. 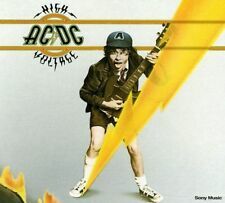 Zoom > The Razor's Edge - AC/DC (Album) [CD]. The Razor's Edge - AC/DC (4.22). Product The Razor's Edge - AC/DC (Album) [CD]. Fire Your Guns - AC/DC (2.53). Format: CD. Disc 1 1 Who Made Who 3.27 mins. Disc 1 9 For Those About to Rock (We Salute You) 5.53 mins. Disc 1 8 Chase the Ace 3.01 mins. Disc 1 7 Shake Your Foundations 3.53 mins. Disc 1 6 Hells Bells 5.12 mins. AC/DC - Highway to Hell (2003). Condition is Very Good. Dispatched with Royal Mail 2nd Class Large Letter. AC/DC - Let There Be Rock (2003). Condition is Like New. Dispatched with Royal Mail 1st Class Large Letter. AC/DC - Powerage (2003) - good condition. Condition is Good. Dispatched with Royal Mail 2nd Class Large Letter. Shake A Leg. Rock And Roll Aint Noise Pollution. Givin The Dog A Bone. Back In Black. 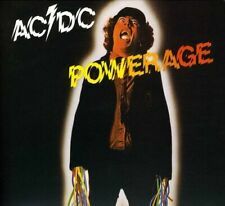 Powerage - AC/DC (Album) [CD]. Zoom > Powerage - AC/DC (Album) [CD]. Product Powerage - AC/DC (Album) [CD]. Format: CD. What should I do?. Apologies, our mistake! I have received an item that I didn’t order. AC/DC FLICK OF THE SWITCH CD 2003 REMASTER. Cat No: BANG29800. Label: Bang! Bootleg Of AC/DC. Release date 21st July 2003. Released: 2003. Country: UK. 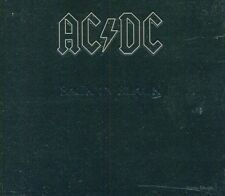 '74 Jailbreak - AC/DC (Album) [CD]. 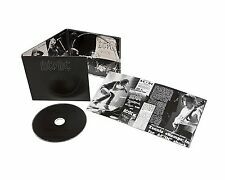 Zoom > '74 Jailbreak - AC/DC (Album) [CD]. Jailbreak - AC/DC (4.4). Product '74 Jailbreak - AC/DC (Album) [CD]. Format: CD. Apologies, our mistake! I have received an item that I didn’t order. Shake A Leg. Rock And Roll Ain't Noise Pollution. Givin The Dog A Bone. Format: CD. Back In Black. What Do You Do For Money Honey. Classic Artists. Rare Collectables. Excellent Condition Please see pictures for details WILL BE SENT WELL PACKAGED. 2nd class recorded delivery. Disc 1 2 Shake Your Foundations 4.10 mins. Disc 1 1 Fly On the Wall 3.44 mins. Disc 1 5 Sink the Pink 4.15 mins. Disc 1 10 Send for the Man 3.36 mins. Disc 1 8 Hell Or High Water 4.32 mins. Disc 1 7 Stand Up 3.53 mins. 2 Hell Ain't A Bad Place To Be 4:11. 9 Let There Be Rock 8:34. 3 Bad Boy Boogie 7:30. 7 Rock 'N' Roll Damnation 3:41. 6 Whole Lotta Rosie 4:05. DIGIPAK CD. GENUINE CD COMPLETE WITH BOOKLET & CASE. INSIDE COVER (see photo). Extra Info - Digipak - Remastered. Shake A Leg. Rock And Roll Ain't Noise Pollution. Givin The Dog A Bone. CD - New & Sealed. Title - Back in Black. Back In Black. Shake Your Foundations. Fly On The Wall. Format: CD. Sink The Pink. Send For The Man. Classic Artists. First Blood. Sale Corner. This is one of 10000 singles LP's, 12” and 7" that I HAVE COLLECTED OVER THE LAST 30 YEARS; they run from the 1950's to the 2000's and cover every style of music. Shake A Leg. Rock And Roll Ain't Noise Pollution. Excellent Condition Please see pictures for details. WILL BE SENT WELL PACKAGED. 2nd class recorded delivery. Of Discs: 2 disc(s) Studio / Label: Sony Music UK Release Date: 03 Mar 2003. Disc 2 7 Let There Be Rock 12.17 mins. Disc 2 11 For Those About to Rock (We Salute You) 7.17 mins. Disc 2 10 T.N.T. 3.48 mins. Highway To Hell. Format: CD. Get It Hot. Release Date Classic Artists. Walk All Over You. Girls Got Rhythm. AC/DC - Dirty Deeds Done Dirt Cheap Digipac CD. Condition is Good. Dispatched with Royal Mail 2nd Class Large Letter. Disc 1 3 Flick of the Switch 3.13 mins. Disc 1 10 Brain Shake 4.09 mins. Disc 1 1 Rising Power 3.43 mins. Disc 1 2 The House Is On Fire 3.23 mins. Disc 1 7 Deep in the Hole 3.19 mins. Disc 1 9 Badlands 3.38 mins. Shake Your Foundations. Title: Fly On the Wall. Fly On The Wall. Format: CD. Condition (Sleeve/Disc): New. Sink The Pink. Send For The Man. 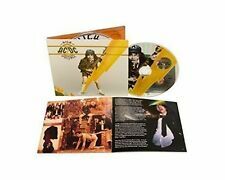 AC/DC - 4 Great Remastered Digipak Albums - Epic 2003 Reissues. Very Good Cond. AC/DC - 4 Great Remastered Digipak Albums - Epic 2003 Reissues. Very Good Cond. Condition is Very Good. All 4 albums are in digipak form with really good graphics and sleeve booklets. The albums are as follows:-. Cover You In Oil. Whiskey On The Rocks. Caught With Your Pants Down. Hail Caesar. Burnin' Alive. The Honey Roll. DIRTY DEEDS DONE DIRT CHEAP. Dirty Deeds Done Dirt Cheap. Ain't No Fun (Waiting Round To Be A Millionaire). Problem Child. Zoom > Blow Up Your Video - AC/DC (Album) [CD]. 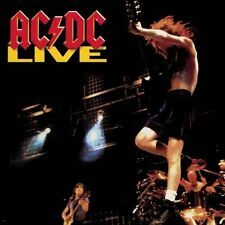 Product Blow Up Your Video - AC/DC (Album) [CD]. That's the Way I Wanna Rock 'N' Roll - AC/DC (3.45). Format: CD. Sound: Stereo. Two's Up - AC/DC (5.19). Enhanced, Remastered, Reissue. HIGHWAY TO HELL. USA 2003 CD. NEW and STILL SEALED, BUT has a little wear etc on the shrink wrap o the rear. ITEM CONDITION . Zoom > Let There Be Rock - AC/DC (Album) [CD]. Product Let There Be Rock - AC/DC (Album) [CD]. Let There Be Rock - AC/DC (6.06). Format: CD. Go Down - AC/DC (5.31). Hell Ain't a Bad Place to Be - AC/DC (4.14). 2 That's The Way I Wanna Rock And Roll 3:43. 9 Two's Up 5:19. 8 Ruff Stuff 4:02. 3 Flick Of The Switch 3:13. 10 Brain Shake 4:09. 7 Deep In The Hole 3:19. 8 Bedlam In Belgium 3:53. 2 This House Is On Fire 3:24. 6 Guns For Hire 3:25. AC DC. AC/DC. Highway To Hell. Compact Disc. 2003. Re-Issue. Made In Canada.